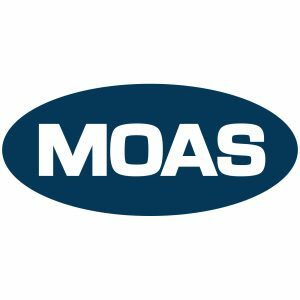 MOAS has launched a one-month observation mission in the Andaman Sea following reports that Rohingya refugees are attempting to flee Myanmar in unsafe vessels. Until May 2015, the Andaman Sea route from the Bay of Bengal to South East Asia was used by refugees, stateless people and migrants seeking safety and a better life. Between 2013 and 2015, the UNHCR estimates that 12 out of every 1,000 people attempting the journey died as a result of starvation, dehydration, or beatings inflicted by smugglers. In May 2015, previous waves of violence against Rohingya people in Myanmar between 2012 and 2014 contributed to the Andaman Sea Crisis, in which thousands of Rohingya refugees trying to reach Thailand and Malaysia by boat were abandoned at sea by smugglers. In the aftermath of the crisis, the number of attempted crossings fell sharply. However, recent reports show that once again Rohingya refugees are attempting to flee Myanmar across the Andaman Sea in unsafe vessels and increasingly dangerous weather. In response to this deeply concerning development, MOAS has launched an observation mission in the Andaman Sea to monitor the situation, utilising the MY Phoenix as the observation vessel. MY Phoenix will have the ability of delivering emergency medical support and emergency Search and Rescue (SAR) support in accordance with international obligations and in full cooperation with the local authorities. The observation mission aims to understand the dynamics at play in the Andaman Sea, and, should an emergency arise, will aim to prevent the loss of life at sea through the application of MOAS assets and coordinated actions by locating and supporting suffering human beings. We need your help to support the running of this vital mission. Read an update about the mission here.